Former world champion Sergey Lipinets (14-1, 10 KOs) as he earned a majority decision over Erick Bone (20-6, 8 KOs) after 10 rounds of welterweight action. 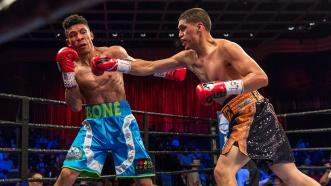 Eddie Ramirez remained unbeaten with a hard-fought 10-round split decision over Erick Bone in a 143-pound bout at Sam's Town Live in Las Vegas. Former world champion Miguel Vazquez worked behind his jab to frustrate Erick Bone and earn a 10-round unanimous decision. 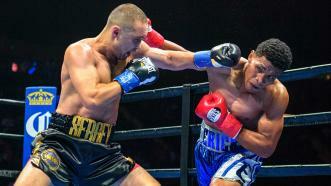 Vazquez showed uncharacteristic aggression as he outboxed Erick Bone to win a 10-round unanimous decision in their 144-pound main event at Cowboys Dancehall in San Antonio. 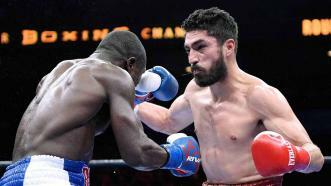 Andre Berto sent local fighter Josesito Lopez home with a knockout, Shawn Porter won a knockout over Erick Bone, and Chris Areola defeated Curtis Harper by unanimous decision. 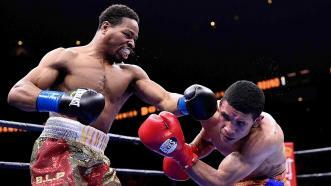 Shawn Porter won a fifth-round knockout over Ecuadorian contender Erick Bone, who was a late replacement for scheduled opponent Roberto Garcia.